Materials from “The Main Club” donated by Robert Jansen. Used courtesy of the Jean-Nickolaus Tretter Collection in GLBT Studies, University of Minnesota Libraries. In summer 2011, I kept hearing about the Main Club in Superior, Wisconsin. I was spending the summer in Minneapolis, staying with an old friend and doing archival research at the Tretter Collection in GLBT Studies. Friends described the Main as a pretty wild bar, but in the archive, I encountered comparatively earnest press accounts, event flyers, and personal hand-written letters. From my research it became clear that the bar’s owner, Bob Jansen, had been an important leader in fostering community, providing an inclusive space, and fighting for progressive causes. The Main Club is a venue, it seemed from my findings, that fulfilled all of the political and social potential of gay bars. Few bars can claim this kind of singular importance for their communities. It’s rare to find the personal papers of gay bar owner in the archive, and I got misty-eyed reading a file of hand-written thank you notes to him. But my favorite findings of the summer were a pair of construction-paper puppets of Jansen with his iconic mustache from a roast in 1997. 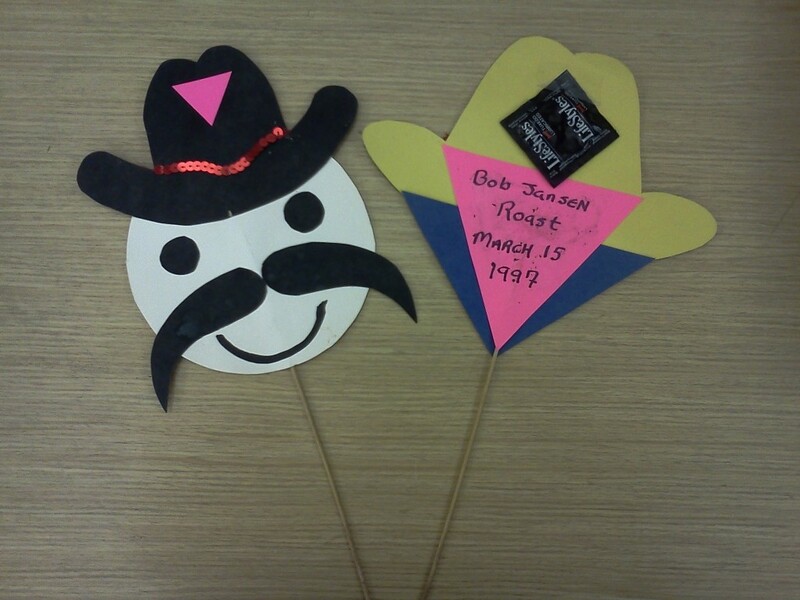 [FIG 1] I can’t be sure if it was these cartoonish effigies’ charming hand-made quality or the fact that I’d never seen anything like this tribute to a bar owner in archives elsewhere. But somehow, these funny little objects made me feel like I knew Jansen and had some sense of the Main Club’s affective significance for its community. The Main Club opened in its first location in 1983 as the first full-fledged gay bar in the area. (There have typically been one or two other gay venues in town since he opened the Main.) Jansen opened the bar “with a grant from the Catholic church”: he was denied tenure in the theater department at the College of St Scholastica, sued for discrimination on the basis of sexual orientation, and used his settlement to help open the bar. The bar has faced various obstacles during the years, from difficulty in securing an initial loan to a police raid on the premise on the eve of the bar’s opening to delays in securing a liquor license. Jansen, however, has been proactive in developing a liaison program between the gay community and the police departments in Duluth and Superior. He has playful sensibility with a lot of social commitment, demonstrated by his range of original projects, protest ideas, and the spirit of a rebel rouser: “When I disagree with something, I try to find out why I disagree with it and then put myself in the middle of it,” he told me. He and his bar have also been profiled repeatedly in local and regional press, as well as featured in two documentary shorts. It’s become well accepted that the bar is a community institution. If Harvey Milk was the “mayor of Castro Street,” Jansen is the empresario of the Great North. An article in the Twin Cities’ gay press commemorating the bar’s second anniversary stated, “The club draws a clientele in a 150-mile radius of Duluth-Superior, including northern Wisconsin, the Iron Range and northern Minnesota. A Range-Night Party last year featured a map to help people meet neighbors closer to home. People stuck pins in their hometowns and that prompted many new acquaintances.” According to Jansen, when he opened the Main, there were approximately 120 bars in Superior, compared to about 40 in Duluth; conversely, 20 percent of the region’s population lives in Superior, compared to 80 percent in Duluth. Until recently there were no gay bars in greater Minnesota beyond the Twin Cities metro area, whereas every significant town in Wisconsin has at least one. Despite having lived in the same house in Duluth since the mid-late 70s, economically and culturally, it made since to open his bar across the bridge where liquor licenses were a fraction of the cost and where closeted Duluth men would not fear running into associates. When the Main Club opened, Jansen was committed to the space being both openly gay and inclusive of all constituents of the community. Jansen made a point of hiring staff to reflect and attract different demographics. Jansen has been a leader in creating and sustaining the local Pride festivities, as well as early grassroots efforts at AIDS education. His older gay brother, based in San Francisco, would send Jansen early information about AIDS from the Bay Area to post in the bar because his clients weren’t getting information anywhere else. Walking into Superior’s Main Club was like going to the theater. And, like theater, the Main could change lives. Bob Jansen, the bar’s owner, was typically at center stage. A gregarious, burly character with a moustache from another era, Jansen would stand behind the bar… dressed in blaze orange for the deer hunting opener. Or in a hard hat and construction uniform while a road crew paved the street outside. Or a Nordic hat with horns for Vikings football Sundays. Customers jockeyed to sit in the “opera seats,” a small cluster of bar stools that offered a prime view of anyone walking in the front door. After the fire, Bob relocated the Main Club from a discreet location to a prominent one on Tower Ave, the main street district of town. Several members of the community pitched in to help him ready the space. The Main Club today is in old brick building that, coincidentally, has brown bricks and arched windows reminiscent of the legendary Stonewall in New York. 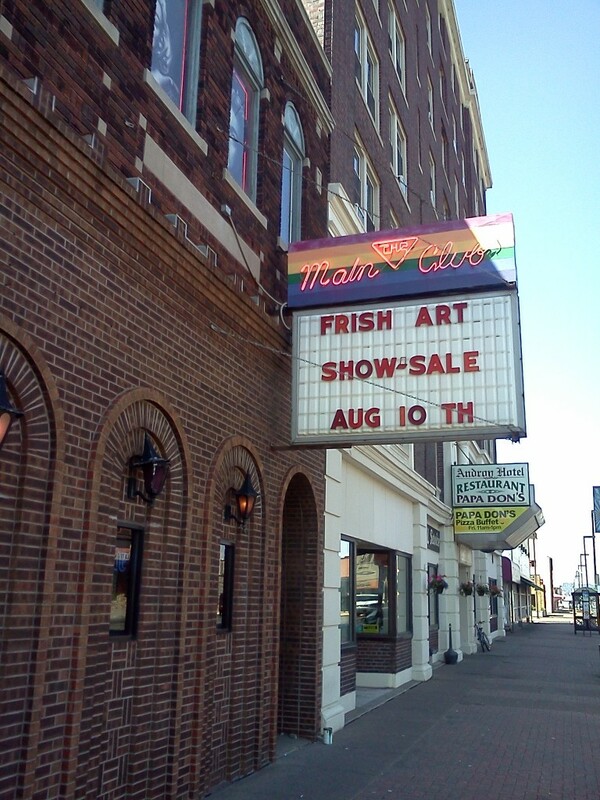 [FIG 2] There’s a marquee with a rainbow flag and pink neon sign above the door. A sign on the front door advises: “The MAIN CLUB is Gay owned and operated and supports the community and the culture of this community. If you are uncomfortable with this you are free to choose not to enter this establishment.” The space inside is quite large, with a small entryway between the two front doors—typical of bars in cold climates—and a shelf where people can set drinks while they step outside to smoke. The front room is large, with high ceilings and holds two pool tables with pink felt. After the front room, the bar stretches lengthwise, with stools along the bar and a large bulletin board with events, news clippings, and other announcements posted opposite. Above the bar hang dozens of stuffed bears (and a few moose) in leather kink outfits for sale; Jansen finds the stuffed animals at thrift stores and makes the outfits himself as a hobby. [FIG 3] When I visited, all of the customers clustered around the bar. Beyond the seating area are a dancefloor and a stage. There’s also a back door at the back of the building and a walkway next to the dancefloor. When you order a drink, it’s served with a denim back pocket, cut from a pair of Levis, as a coaster. It’s this sort of touch that reflects Jansen’s sensibility and ingenuity. The jean pocket clearly references the historic 1970s macho stylings of Levi-leather bars and gay clones, but he modestly explained that they were environmentally responsible as an alternative to paper coasters. Despite Wisconsin’s beer industry, like most gays bars elsewhere, the Main sells far more hard liquor, especially vodka, than beer. Jansen has perhaps always been more interested in building community than running a business. The bar has seen its business fall off in the past five or so years, more precipitously in the last couple. Jansen says he’s heard similar struggles from other gay bar owners and event organizers across the country, though he also suggests that there isn’t really a communication network between bar owners. By all accounts, there also seems to be a generation gap, such that local queer youth are not invested in gay bars as community spaces the way prior generations of gay men and lesbians were. But the bar has also developed a reputation as an older man’s bar—and a dirty one at that—despite a political commitment to inclusiveness. According to one of the bartenders, bars are Superior’s primary industry, despite being a shipping port, and business seems to be off all over town. Jansen was preparing for a presentation on the history of the community when we met, and he was clearly concerned about the bar’s current relevance as well as its need to be remembered. Today, the Main Club is patronized primarily by older males, the Flame up the street by women, and a new dance club across the bridge, the Duluth Flame, attracts the region’s younger mixed crowd. The Main Club’s future is uncertain, despite its past as a local landmark. A couple of times during our first conversation, Jansen said, “List my number and write ‘single’.” The Main Club’s phone number is (715) 392-1756. Bob Jansen is single. Angela C. Nicols, “The Main Club Celebrates Its 20th Anniversary,” Lavender, February 7-10, 2003, 40. In addition to the articles sited, see “Bar Lets Gay People Know They’re Not Alone” Duluth Tribune & Herald, March 24, 1985, 5C; Elise Mattheson, “Pride Grand Marshal Profile: Bob Jansen,” Lavender Lifestyles, May 24, 1996, 34-35; Noam Levey, “Bar Owner Back, Pink Walls and All,” Duluth News Tribune, May 29, 1997, 2B; Chris Homan, “Bob Jansen’s Gay Activism Predated Northland Pride,” Lavender, August 13-26, 2010, 16-18. Documentaries include Treading Water and The Main. The bar is also mentioned in Stewart Van Cleeve, Land of 10,000 Loves: A History of Queer Minnesota (Minneapolis: University of Minnesota Press, 2012), 152-54. Among his community involvements are co-founding Gays of Duluth-Superior (GODS), and the board of the Minnesota Committee for Gay and Lesbian Rights—both before opening the bar—and co-founding the Duluth-Superior Pride Committee, the Greater North AIDS Project, the North Star Gay Rodeo, and a GLBT community-police liaison program; he’s served on the Duluth Community Health Center board, the city’s Human Rights Task Force, and the Superior Business Improvement District committee. He has also supported women’s causes, such as the Women’s Legal Defense Fund, Take Back the Night, Aurora, the Women’s Health Center, and the Women’s Coffeehouse. “Main Club Has Become Mainstay in Superior,” Equal Time, February 2, 1986, 7. Jason Skog and Naom Levey, “Main Served as Harbor, Home for Gays, Others,” Duluth News-Tribune, December 28, 1996, 1.